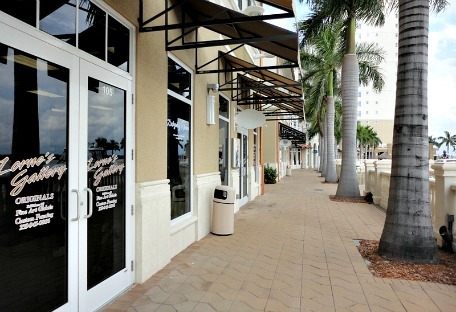 Marina Village Shopping - Where some of the nicest Cape Coral shops are, right here at our luxury resort. 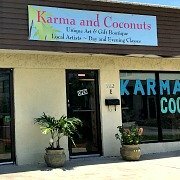 If you are looking for unique fashions and art, you'll want to grab your purse and go shopping at this spectacular location on the water. There are several shops on what is called the Promenade. 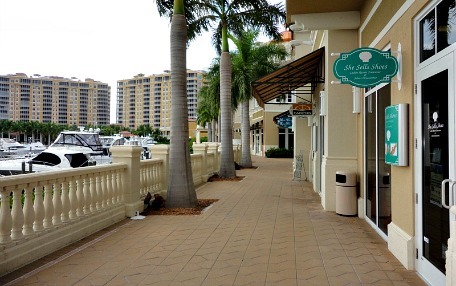 You'll find shoes, clothes and accessories, art ....... and gifts to catch your fancy while enjoying views of Tarpon Point Marina and the Caloosahatchee River. Also at the Promenade is Esterra Spa and Salon, to help make your shopping day an even more pleasant experience. 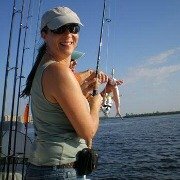 You may even want to have lunch at the resort's 2 restaurants, The Nauti Mermaid or Marker 92. If you're staying at the resort, some of the shops offer specials if you bring your room key in. 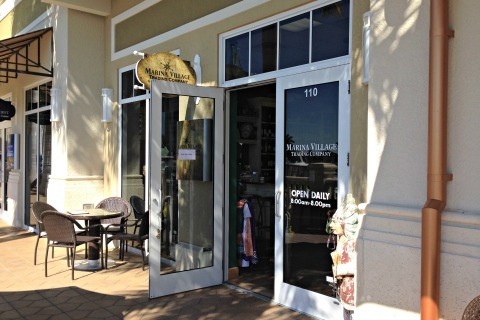 Marina Village Trading Company is a cozy little spot that offers gourmet and specialty foods, beverages, and gifts. Go for wine and wine tastings, cheeses, coffees, pastries, and other goodies. Call them at (239)471-0310 for more information, they're open daily from 8AM-8PM. She Sells Shoes is where you'll find sandals and footwear from Fly Flot, Springstep, Aerosoles, and more. 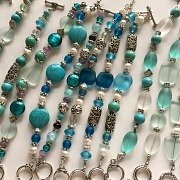 Accessories include purses, beach bags, jewelry, sun visors, and sunglasses with beachy and resort colors and styles, perfect for your vacation or a day on the water. 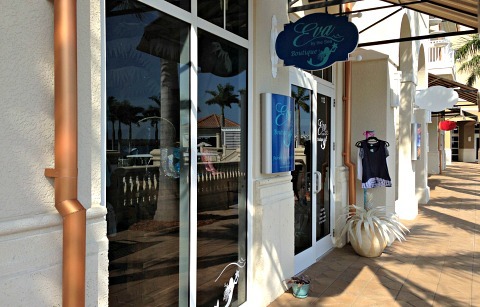 Eva by the Sea features casual and dressy tops, pants, dresses, swimsuit coverups, and jewelry. 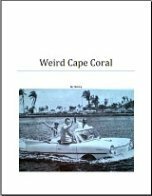 Here in Florida, you can't have too many coverups, and you won't be able to resist the colorful and tropical fashions. 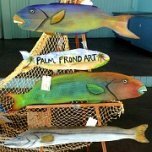 Lorne's Gallery is a family-run art gallery that has been in business for over 20 years in their other location on Del Prado Blvd. 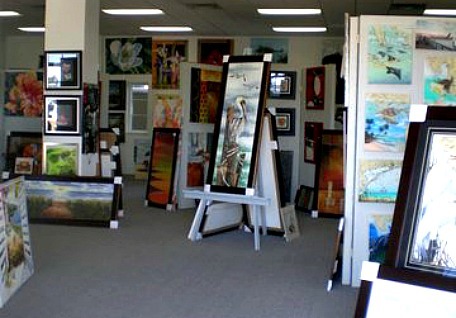 They mainly feature paintings of all sizes and styles from over 40 local artists. 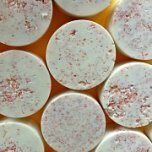 New artists are added regularly, so check back and bring more art into your life! Esterra Spa and Salon is a an award-winning full-service spa and salon. 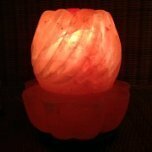 Relax and rejuvenate with massages, facials, manicures and pedicures, or a brand new hair style. 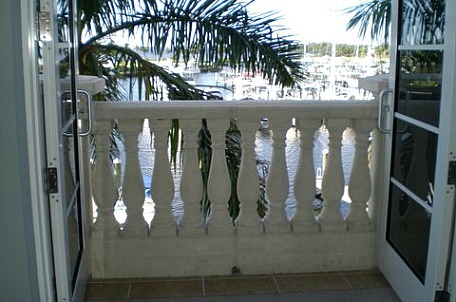 With lovely views of the water, you'll love coming to Esterra whether vacationing or living in Cape Coral. Call ahead for store hours, since many of the shops close for a few days off-season. Last, but not least, sign up to take a cruise on a luxury yacht with Floridian Star Cruises. 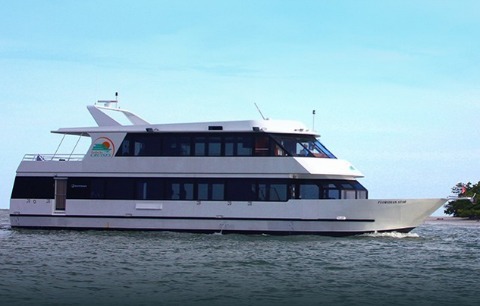 They offer nature, sightseeing, lunch, dinner, wedding, and holiday cruises for public or private charter. Here's a video of The Promenade, I think you'll agree the shops at Marina Village are in a lovely spot!